When is a cryptogram not a cryptogram? Answer: when it's a cryptolist. 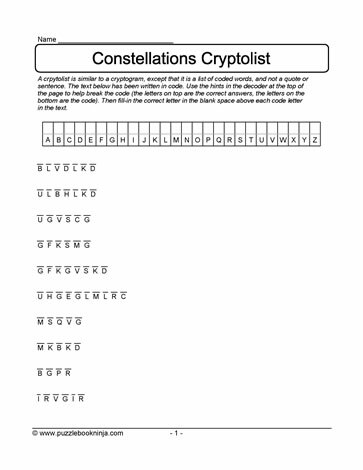 Record the letter substitutions in the chart as you solve this list of coded constellations. Great as a birthday party activity, classroom challenge, or as a fun culmination activity to a science unit.